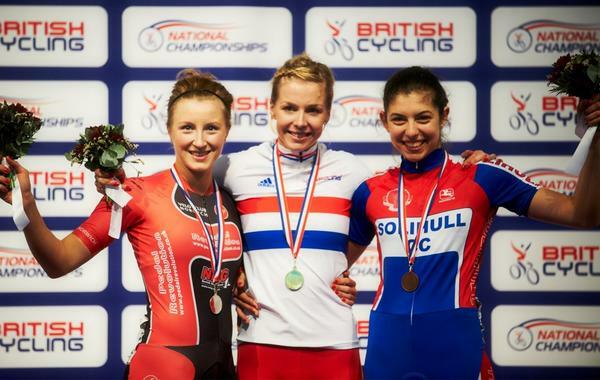 Vicky Williamson makes it 3 silvers with another podium position in the women’s kierin on the final day of the national track championships! Thanks Victoria for showing off the VCN colours at Manchester and we all look forward seeing your photos and thoughts in the newsletter once you’ve got your breath back. In the meantime her’s our girl collecting her sprint silver.